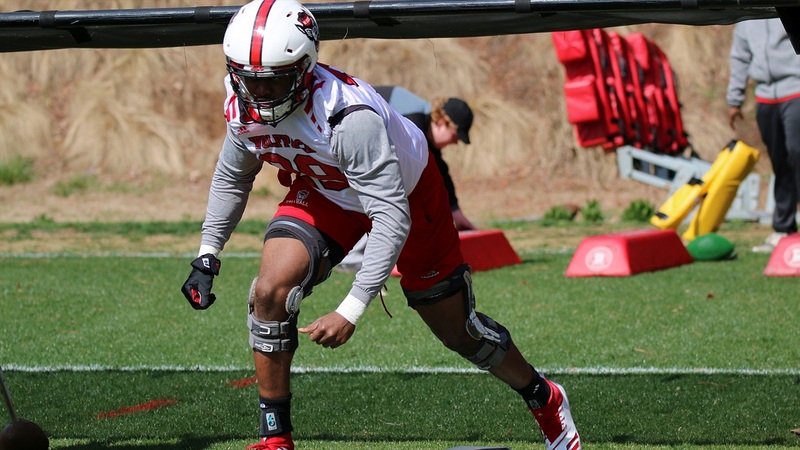 NC State redshirt senior defensive end James Smith-Williams is completing his final spring practice with the Wolfpack. Here are his thoughts on the team heading into the Kay Yow Spring Game. What are you seeing right now with the defense in terms of coming together... things you need to improve on? We’ve been doing really well, and it's the kind of defense that likes to play together. You can see it, guys really love each other, and that's kind of standing out from the last year when we were playing for each other. We're still a little young in some spots, and we’re trying to patch that up... know all the plays, get the playbook down. That’s something the young guys are working on right now. You’re able to stay healthy; how important is that? You definitely want to stay healthy because if you're not on the field, you're not getting better. So this is what I'm trying to focus on, standing up, staying healthy because we’re battling every day, but then at the end of the day we want to be able to go home [healthy]. What have you seen from the offense? The offensive line is really good. We really battle every day with that position. The quarterbacks are coming along, and we have great skill players. So the offense has looked good. What have you seen from Terrell Dawkins and Savion Jackson? They've been doing great. They're young guys, but they're definitely getting to where they are picking it up quick. Hopefully they can help us this year because that’s why they came in early. Where can you improve in your last year? Make more plays. At the end of the day you need to make plays. At the end position you’re there to make plays, and I have to make them. There were so many great offensive linemen last year, might people be underestimating this group this year? I hope they don't because they are good dudes up front. We have three guys and two were starters plus Sculthorpe. If they underestimate them that’s on them. They are a really good group. Which quarterback has had the most success against the defense? I really don't know who was in. I know they rotate a lot, but I'm beating the block in front of me. So knowing the quarterback, it’s kind of hard to do all that at once. Win the games you’re supposed to win. That's really the big thing. You play here to win big rings. We don’t want glory, we want championship rings. That’s always the goal.